Born 1971. Completed a masterʼs degree at the Department of Architecture at Musashino Art University. Taught as a teaching assistant and lecturer at the university before becoming a visiting lecturer in the School of Architecture and Landscape Architecture (SALA) at the University of British Columbia (UBC) from 2005 to 2008. 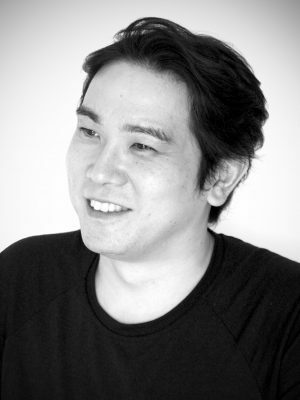 Co-founded AnS Studio, one of the worldʼs first computational design studios, with Aya Okabe in 2009. The studio is working to create "richness" for a new age beyond manual craft by making adept and precise use of computers. Representative director of aT ROBOTICS, a company focused on developing practical robotic construction technologies that he founded in 2016. Works include the Sony City Osaki Landscape Design, Shogakukan 3-3 Jinbocho Building, and Ureshino Shakai Cultural Hall.